You are seeing this because you used a generic search term such as "math" or "algebra" in the Help widget on EdReady. If you need assistance, please be more specific and descriptive in your search. If you still do not find what you are looking for, use the "Contact Us" link below to get in touch, and provide as much detail as possible in your subject and description. Are you looking for help with math problems, like formulas, factoring, trinomials, radius or circumference, or decimals or square feet? 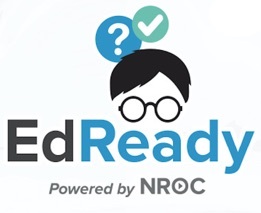 EdReady is designed to help you study math. In your study path, you will click on the "Learn" button, and there you will find all sorts of resources for learning math. The most important one is the Topic Text. That is the comprehensive resource for each topic, and covers everything you will be tested on. The staff here at EdReady cannot help you with your math. We can only provide technical support if EdReady isn't working properly. So we encourage you to study in EdReady, and if you are confused about any of the concepts, please talk to your instructor or a tutor at your school to get help with specific math concepts.